Healthsprings’s signature glow facial gently exfoliates your skin using medical grade Salicylic Acid to get rid of those dead skin cells. 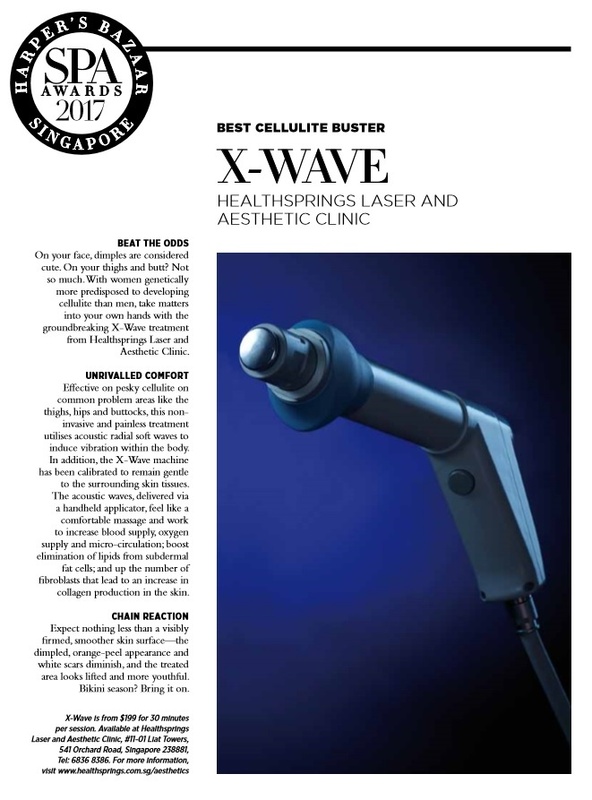 It combines with LED technology to target & improve different skin conditions eg. pigmentation, facial veins, and acne marks etc. The facial ends with a multi-vitamin mask to brighten and hydrate the skin, unveiling healthy skin for a youthful glow that lasts. First trial at $85. 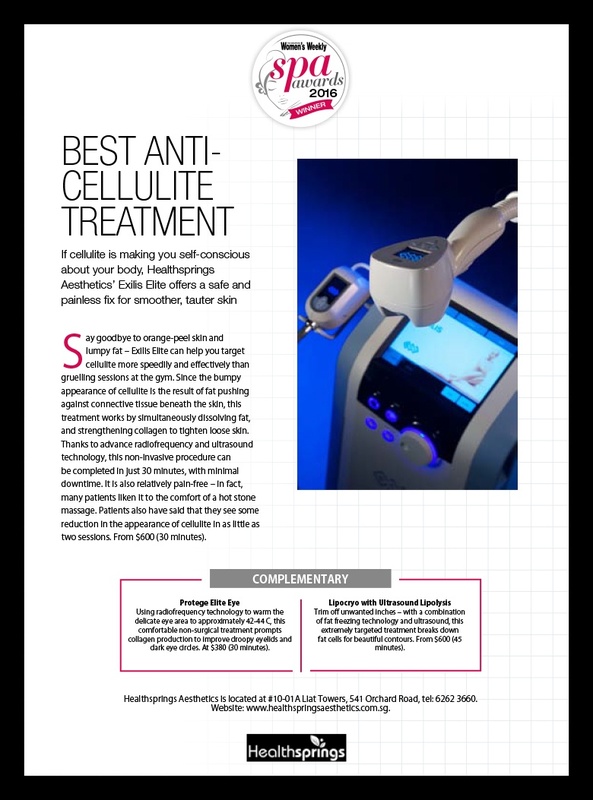 A quick and effective treatment suitable for busy individuals who’re looking to look fresher & younger. Suitable for oily, acne, dull, dry, & combination skin! Comfortable treatment with no downtime. Non-invasive. Using medical grade products, the skin will be cleansed, followed by a medical skin peel to exfoliate the skin, lighten scars and clear clogged comedones on the skin for only $68. A soothing mask will hydrate the skin. Treatment is completed with medical grade moisturizers and sunblock. 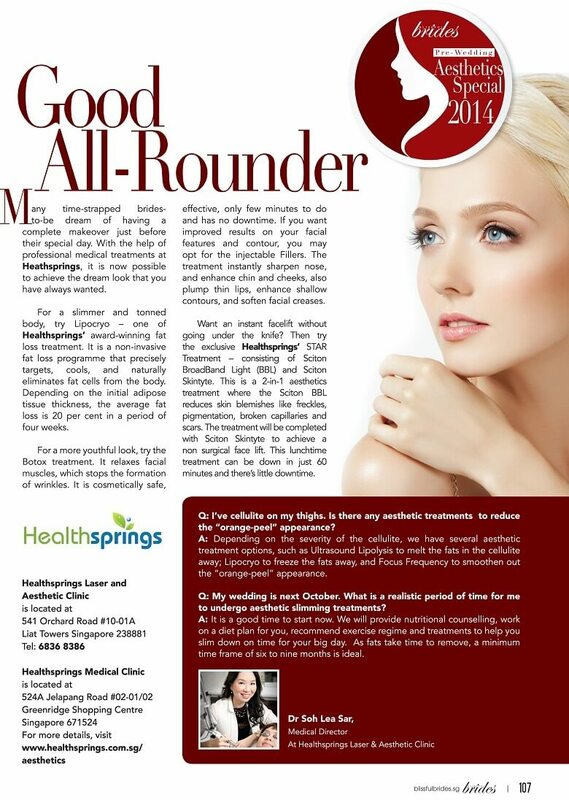 Our award-winning Lower Face Slimming Treatment can tighten lower face, reduce double chin, and lift sagging cheeks. – Improves blood circulation and lymphatic drainage Suitable for both genders and all skin types. Don’t worry, it’s painless – most people say it feels like a warm massage. This is no downtime hence it’s suitable for lunchtime treatment. Visible result can be seen from one session. Try our FDA-approved fat freeze technology. 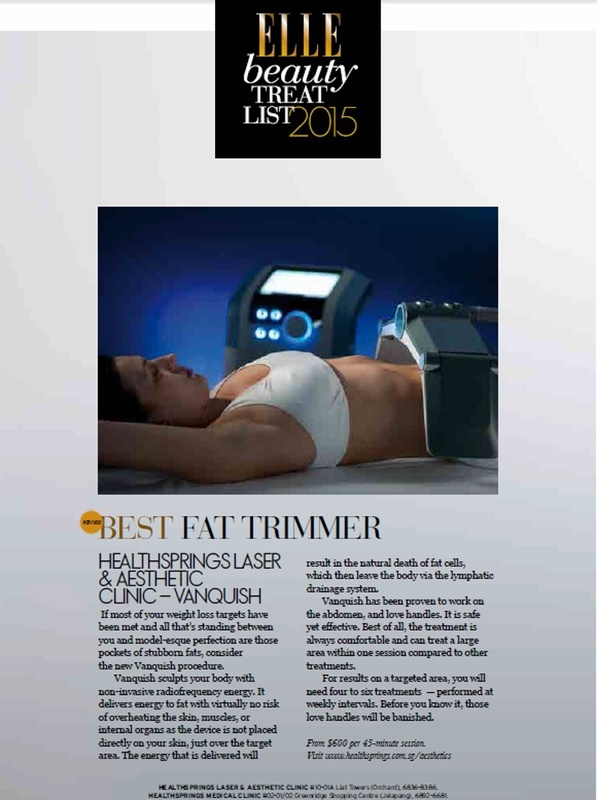 Freeze away those unwanted fat cells that you wish to remove without surgery or downtime. Destroyed fat cells will be eliminated out of body naturally via metabolism process. Visible results can be seen each after after one session. Target those fat bulges around your belly, flanks, thighs, and arms.